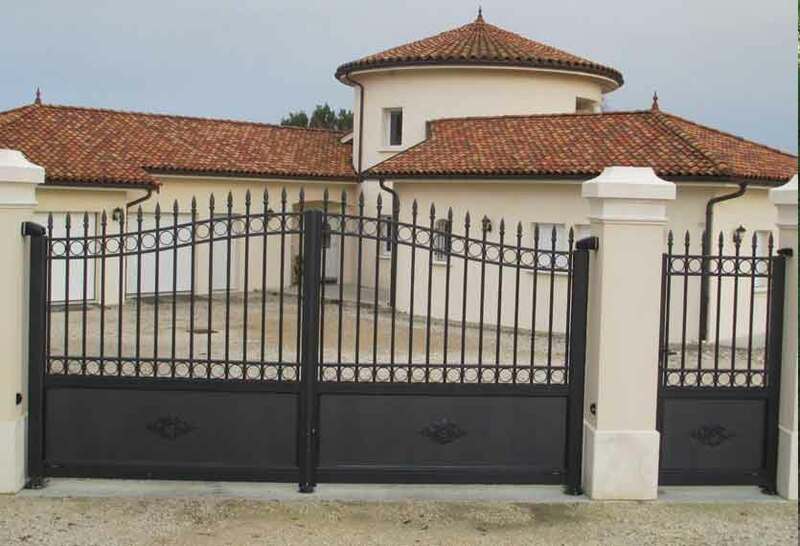 Click on the images in our gallery below to view Traditional aluminium gates in more detail. 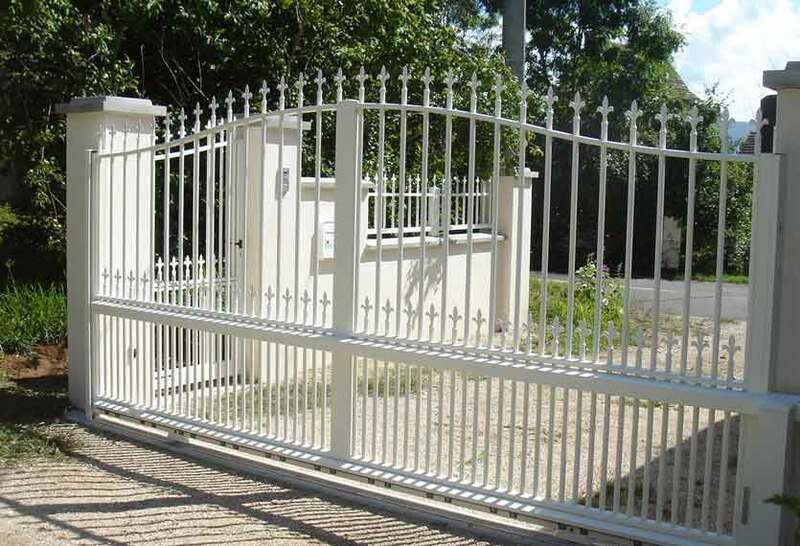 The Traditional range offers a wide choice of gates, available as swing gates, sliding gates and cantilever gates, with matching pedestrian gates and railings. 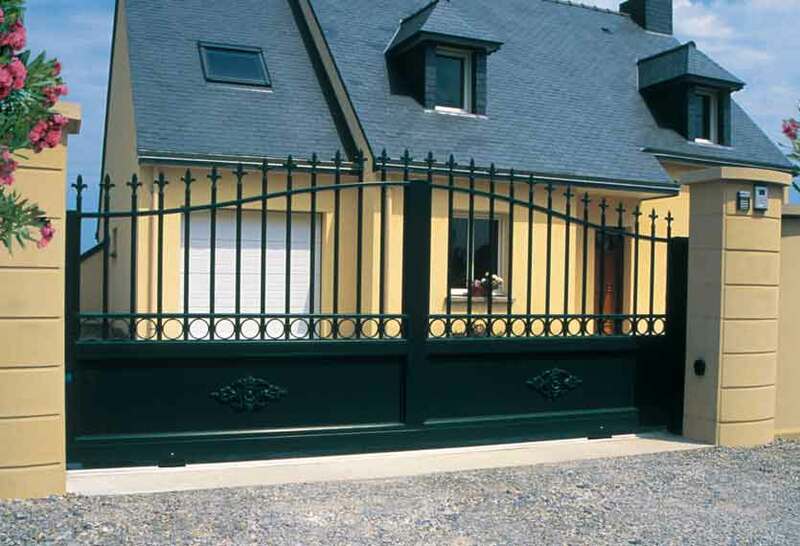 This style is particularly suited to classical architecture or personal preference for wrought iron gates. 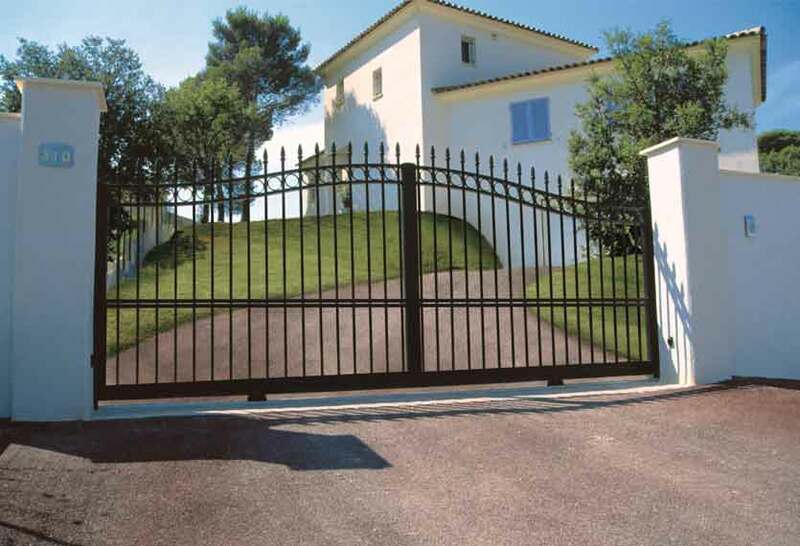 This range replaces iron gates without the inconvenience of corrosion and yearly maintenance. 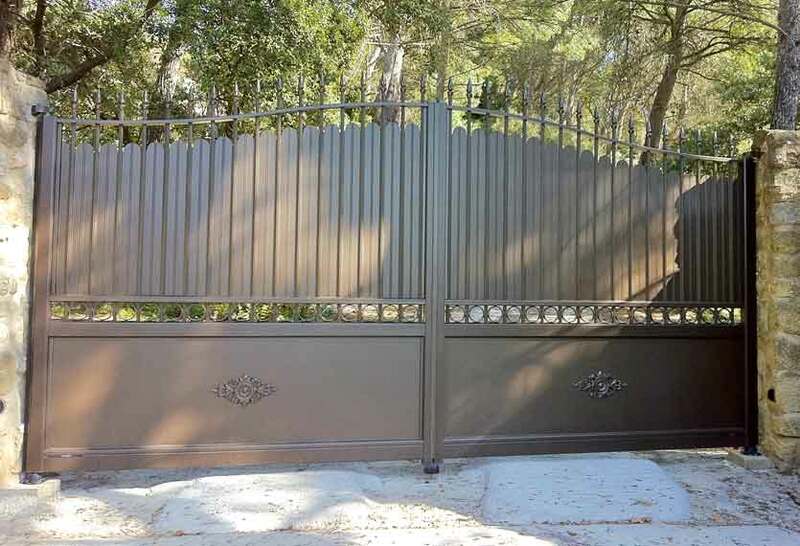 Offering many types such as flat-topped, curved, full privacy, part privacy and open, this fantastic range of gates allows you to create whatever look you require, with options to automate these also. 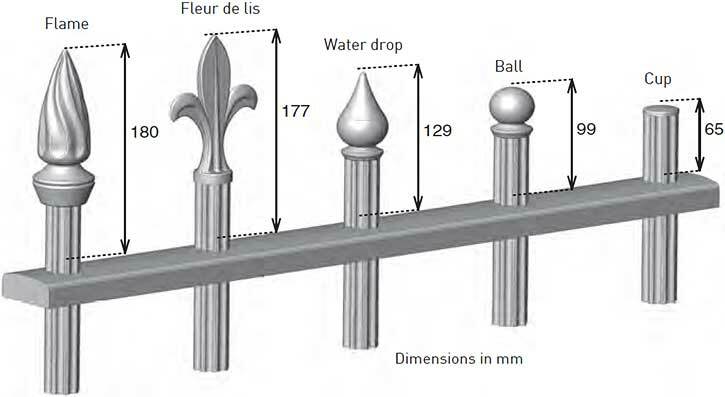 Choose from 5 alternative finials, the “flame”, “fleur de lis, “water-drop”, “ball” or “cup”, different “collar” or “butterfly” infill feature-bars, a variation of “palmettes”, “rosettes” & “quarter-rosettes” & a host of other decorative choices such as “circles”, “scrolls” & “feature panels”. The 4 models of Traditional railings, available in open bar & privacy panel versions, allow you to match with all of the gates in this range. 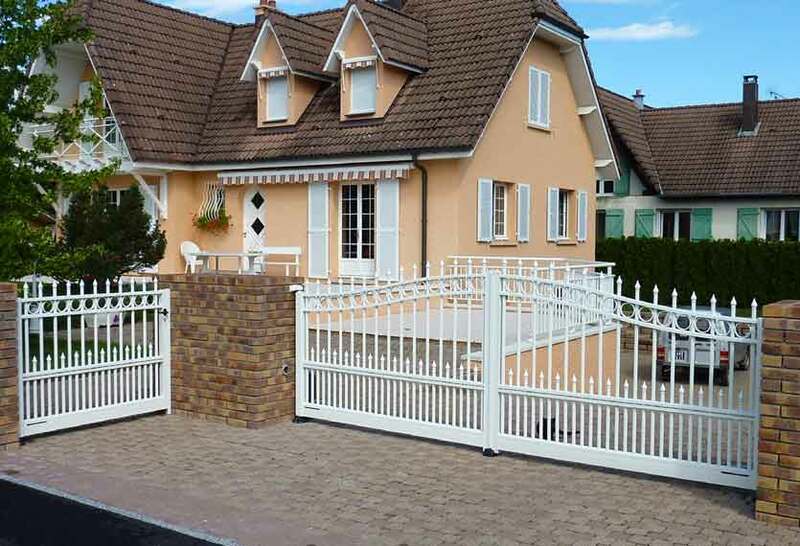 The various Horizal patented technical solutions, such as the adjustable posts and fixing plates, make it possible to design & install the railings to your requirements. The aluminum post box, painted in the same colour, is also available. Sloped railings can also be made (10% maximum slope), but only in an open design with just 2 of the options, the “Acanthe” & the “Kernara”. 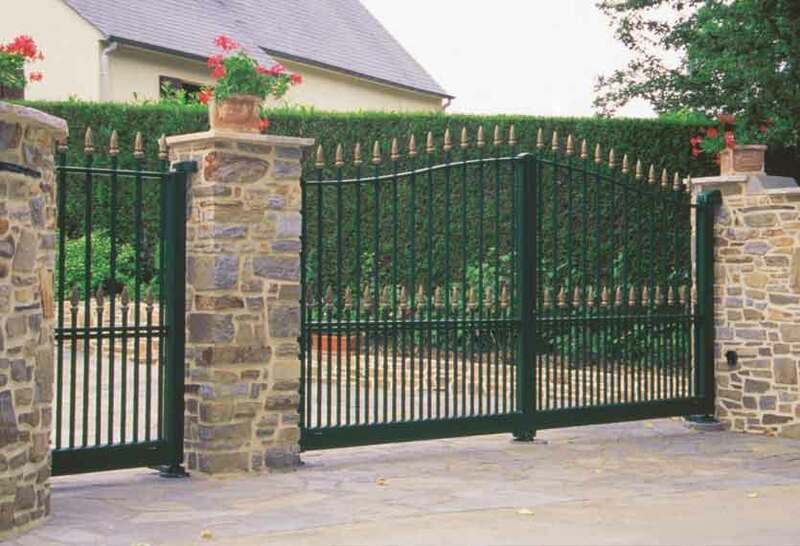 This range really does offer the optimum solution in traditionally designed Gates & Railings with just one thing missing. The continuous maintenance that Wrought-Iron needs. 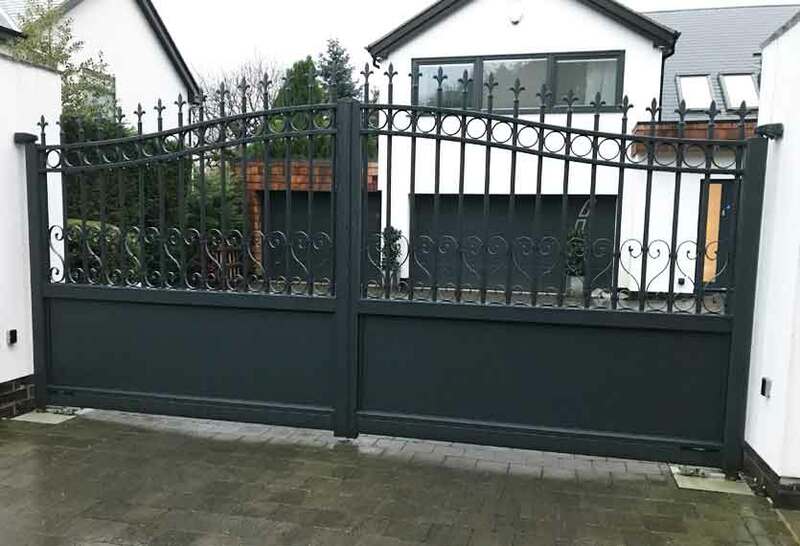 For detailed information on the Horizal Traditional Range of aluminium gates, including personalising your gate, and how to choose your ideal gate, please download our guide. Alternatively an overview of available features can be found in the tabbed area below. 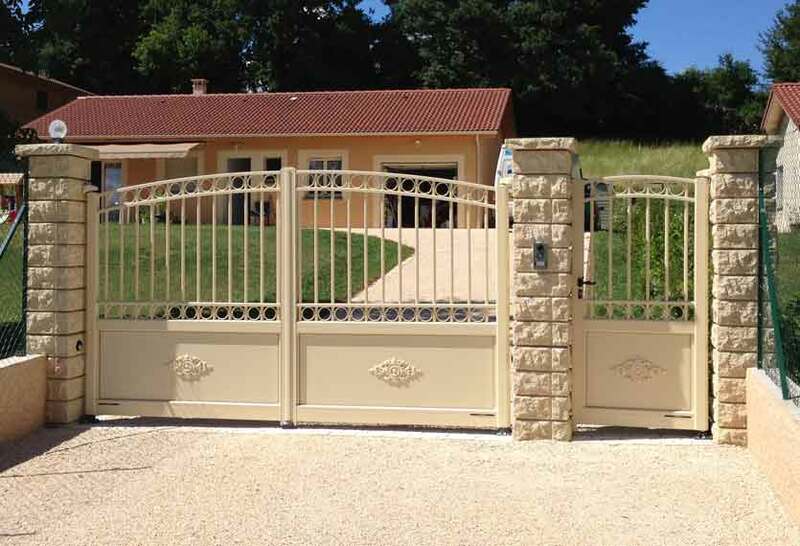 Option available for Traditional gates with sheet aluminium base (except for diamond shaped base). These decorative motifs are painted in the colour of the gate or in a matt gold finish (optional). 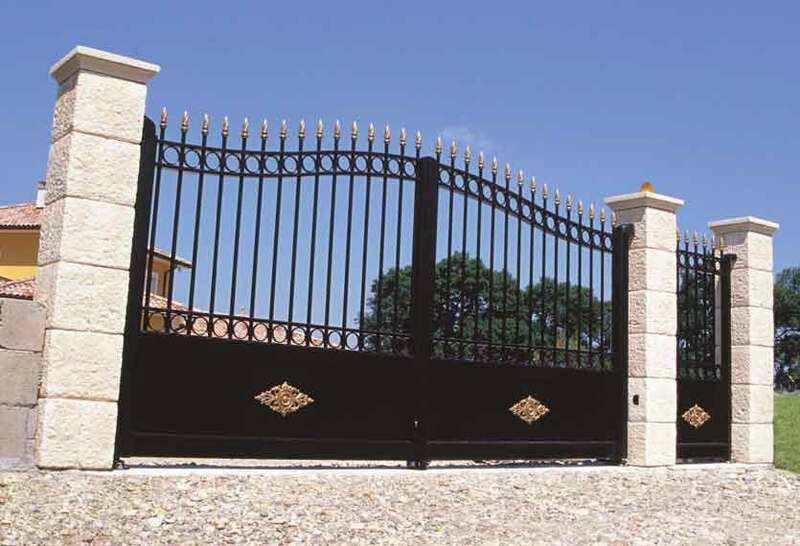 Traditional gates offer a considerable number of aesthetic options and a wide selection of designs to make your gate unique. 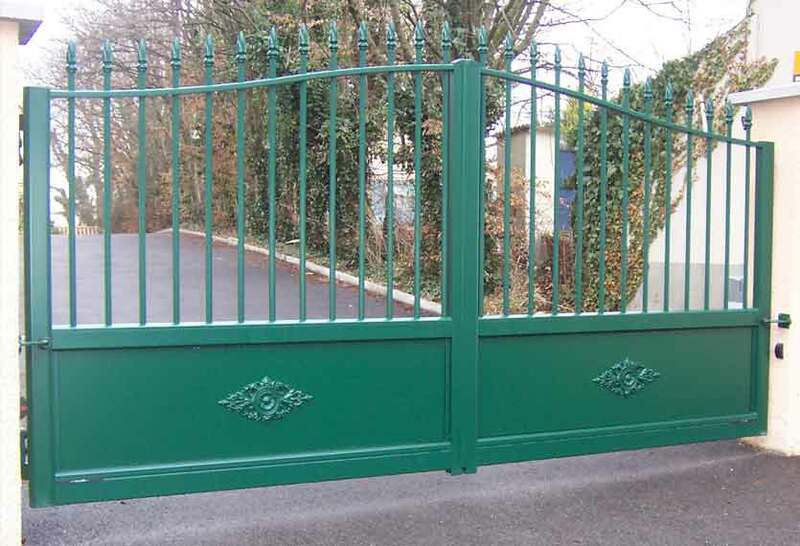 Five decorative finnials are available for Traditional gates, with the option of the same colour as the gate or matte gold option (except cup). Add 70 mm to the gate height when installing single scrolls at the top (between the decorative ends). 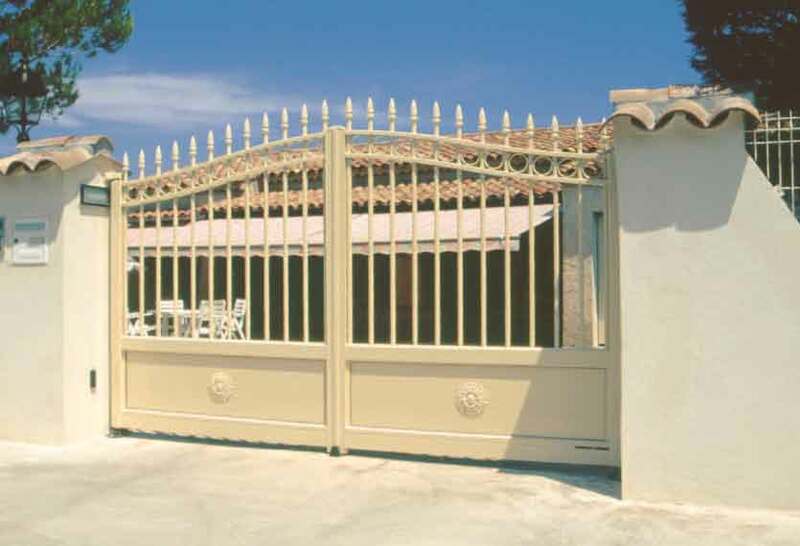 Two decorative inserts are available for the fluted bars of the Traditional gates, in the same colour of the gate or matte gold (optional).